This is another example of a mutation in a gene regulating the formation of embryonic tissue with serious consequences in subsequent development. In this case the tissues involved are primarily the cornea (windshield of the eye) and the lens. Infants are born with deformities of the cornea and iris. This can be mild or severe enough to cause dense cloudiness. The iris may be partially adherent to the cornea which is often smaller than normal. The lens usually has some opacities. These may be mild but are often progressive. Other patients have dense opacification of the lens from birth. Vision is highly variable, ranging from normal to bare motion detection. Glaucoma is usually not a clinical feature and there are no systemic abnormalities. 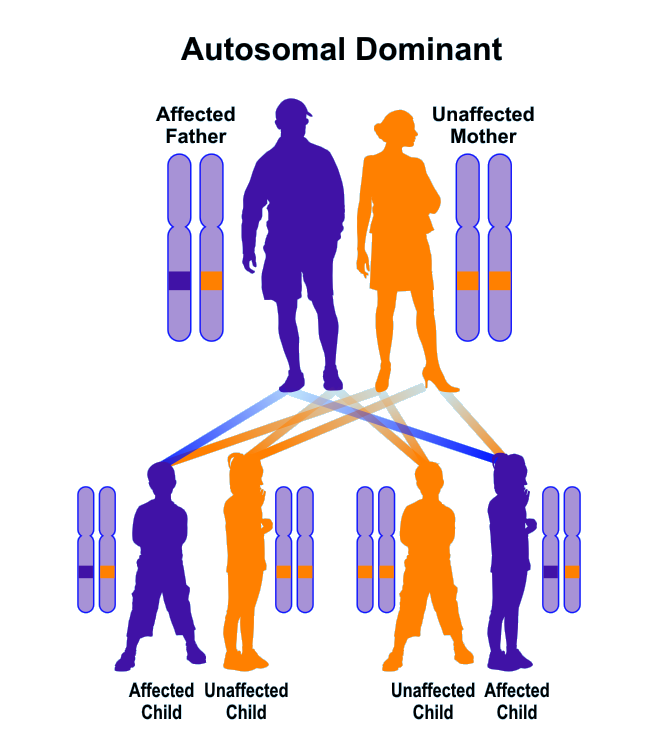 Mutations in at least 2 genes seem to be responsible for this disorder which is inherited in an autosomal dominant pattern. Parents with this condition have a risk of 50% of passing the mutation to each of their children. This condition is diagnosed by an ophthalmologist who does a complete eye examination to determine the extent of the abnormalities. Cataracts sufficiently dense to interfere with vision can be surgically removed. Corneal transplantation has been done in patients who have severe opacification.